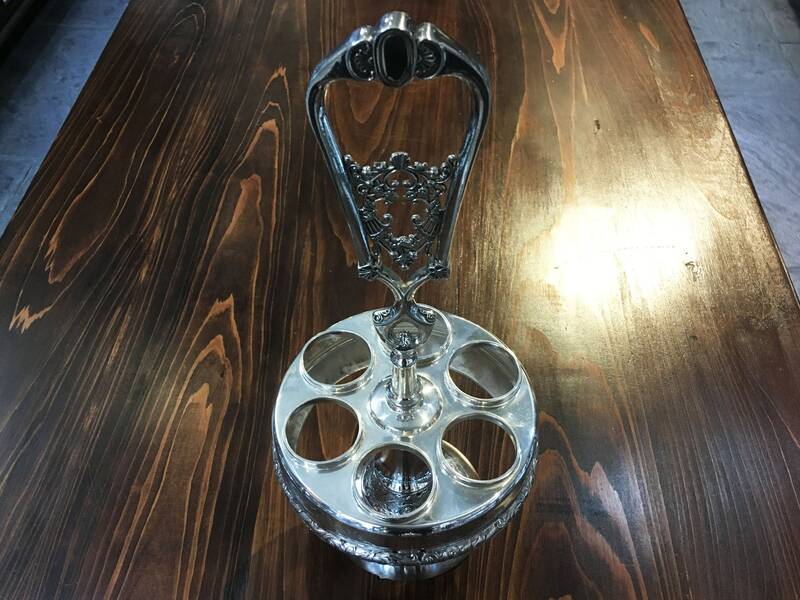 Cruet Set by Wilcox Silver Plate Co. 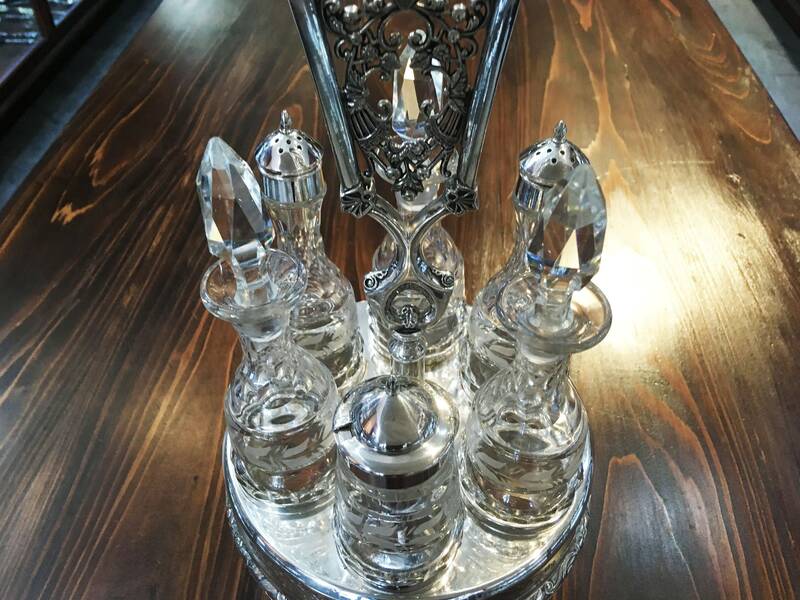 Serve your condiments in style with this stunning quadruple plate silver and crystal cruet set crafted by Wilcox in the 1890's. 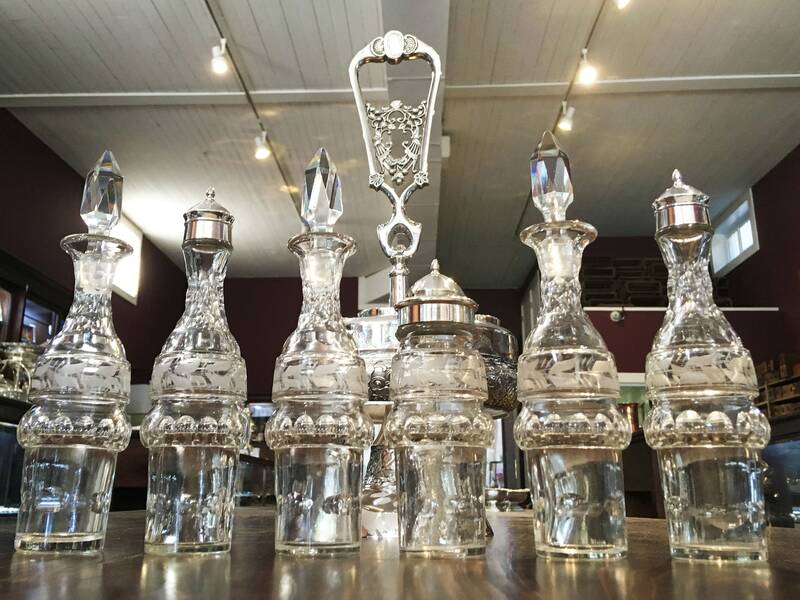 Featuring six crystal cruets complete with their original lids and a swiveling base adorned with an elegant natural design, this piece is sure to impress your guests. Originally Wilcox Britannia Co., the company was founded in 1865 by Jedediah and Horace Wilcox, Charles Parker, Aaron Collins and Hezekeah Miller in Meriden, Connecticut. 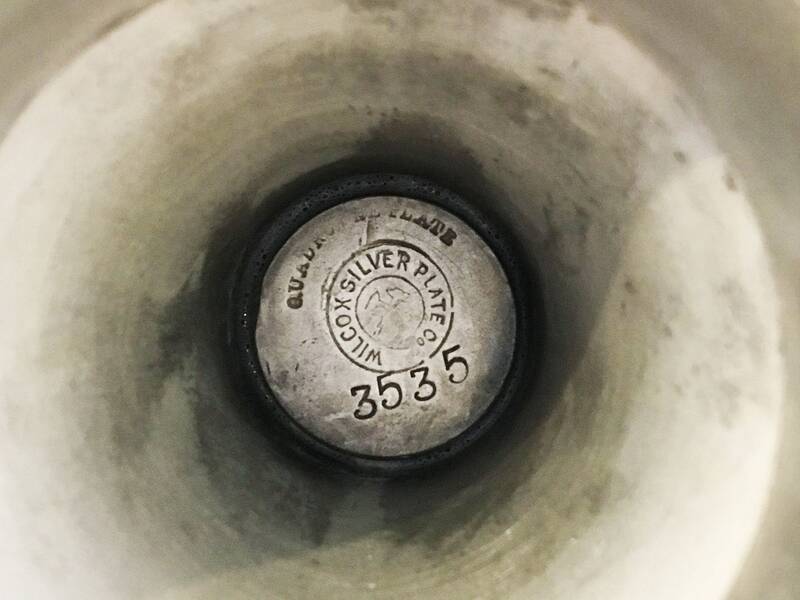 Their name changed to Wilcox Silver Plate Co. in 1867 and, in 1869, the company acquired Parker & Casper Co. 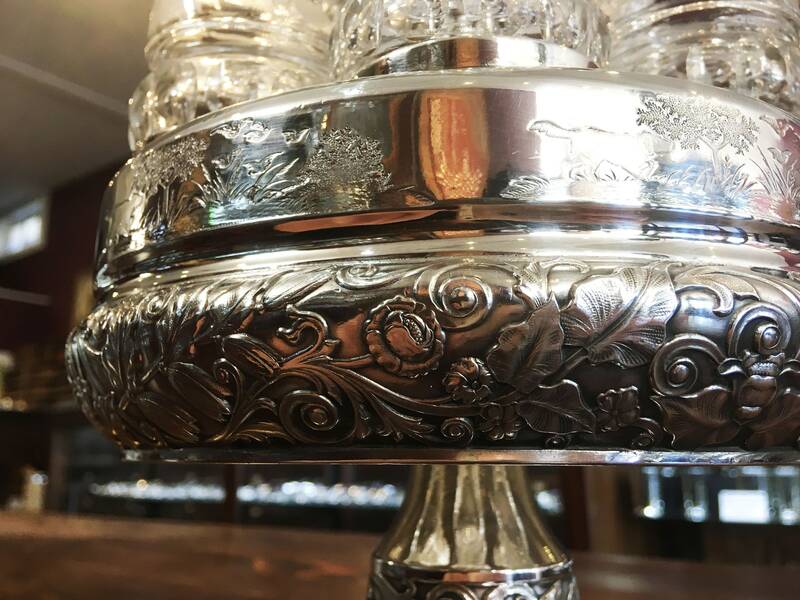 In 1898, Wilcox Silver Plate Co. was one of the founding members of the International Silver Co. Their factories closed during World War II in 1941 due to the national metal shortage. 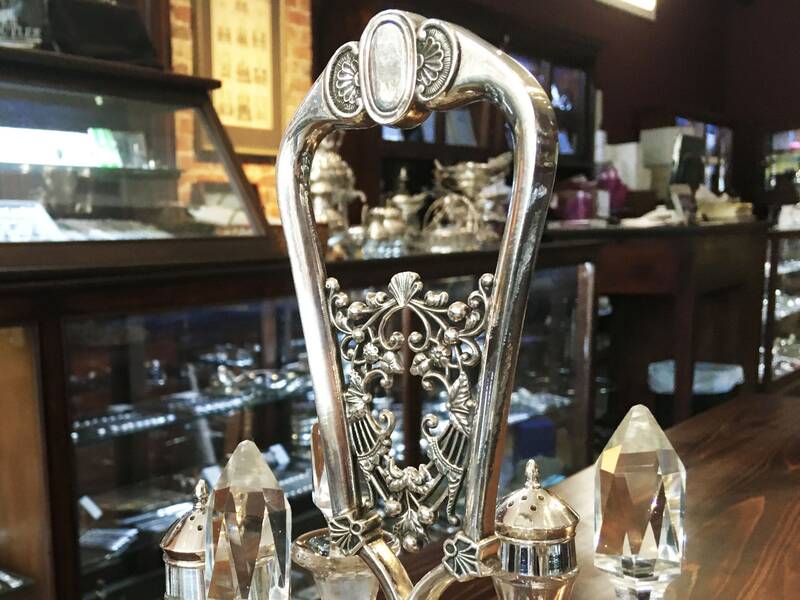 Following the war, the International Silver Co. continued to produce some of their designs. 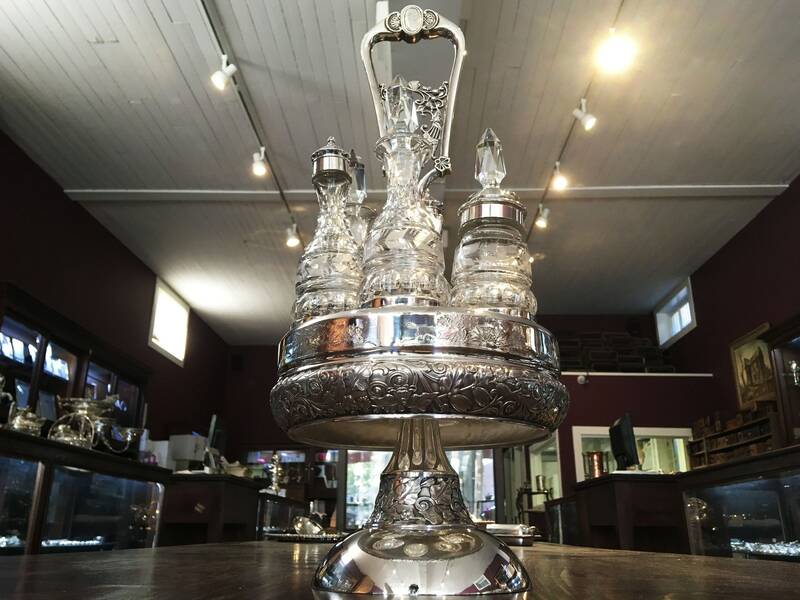 Today, their highly collectable work is featured in museums across the world including the Art Institute of Chicago, the British Museum in London, the Metropolitan Museum of Art, the New Orleans Museum of Art, the Philadelphia Museum of Art, and many more.